Learning about your family’s past can be good for your health. You may want to incorporate family health history activities into your next reunion. Knowing your family health history – medical information about yourself and close blood relatives -can be valuable in many ways. Such history can help identify your own risk factors for heart disease, stroke, diabetes, cancer, and other health problems. Health care providers can consider the information, along with your own environment and behavior patterns, to assess your risk of disease. You may choose to have tests such as mammograms or colorectal cancer screenings to assist in early detection, or reduce your risk by modifying eating or exercise habits. Even the youngest family members have something to gain. When my cousin’s newborn son was screened and diagnosed with a rare Fatty Oxidation Disorder (FOD), several close relatives had screenings. Early screening matters; this heritable disorder is serious but treatable. Recognizing how important such collective information can be, US Surgeon General, Richard H. Carmona, M.D., M.P.H., and agencies within the U.S. Department of Health and Human Services have launched a “Family History Initiative.” It features a free software tool available from www.hhs.gov/familyhistory. 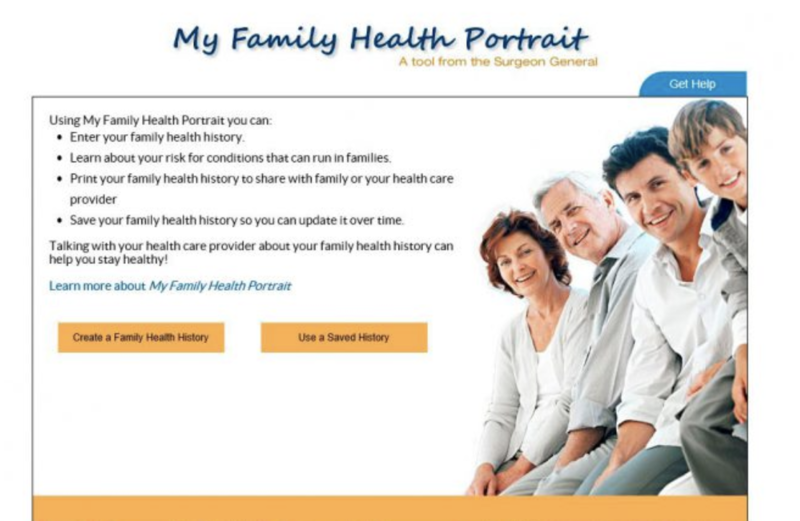 My Family Health Portrait helps collect and organize information about family members and diseases they may have suffered. Contents can then be printed out for presentation to the family doctor. The Surgeon General’s website takes pains (no pun intended) to highlight privacy/security issues. My Family Health Portrait stores information only on your computer. How safe the information is depends on how well you protect your computer. A reunion is an opportune moment for families to share information. 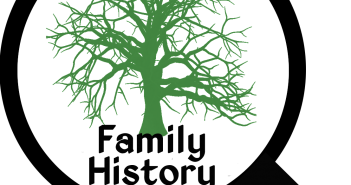 (For the past two years, Surgeon General Carmona has declared Thanksgiving to be National Family History Day, but the Surgeon General encourages families to talk about and record health histories whenever they gather). So reunion planners may be particularly interested in including Family Health History activities. Talking with relatives, asking questions and recording information are all starting points. More experienced researchers might review death certificates and family medical records to confirm information or collect more. 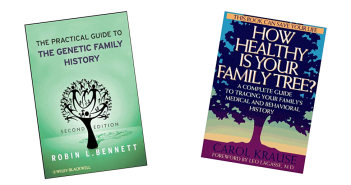 However you go about it, consider adding health history research to your family reunion activities. It’s good for you – and for everyone in your family. Erika Dreifus holds a PhD in History from Harvard University and writes frequently on family history topics. Visit her website at http://www.erikadreifus.com. Previous ArticleHave you signed your donor card?